Public sector cooperative purchasing through The Interlocal Purchasing System (TIPS), helps schools, colleges, universities, non-profits, cities, counties, and other government entities leverage resources through contract purchasing solutions. Save time and money by eliminating the RFP contracting process and avoid the risks of low-bid, low-quality work. 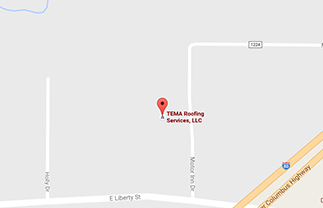 TEMA Roofing Services’ strict compliance standards and competitive bidding requirements set the stage for its partnership with The Interlocal Purchasing System (TIPS) partnership, and now, TEMA’s services can be obtained with the benefit of co-op purchasing—giving access to design-build services without the bid process! Who Qualifies for Co-Op Purchasing? Co-op contract purchasing gives entities access to high-quality, nationally leveraged contract solutions. So who qualifies for co-op purchasing? Interested in learning more about public sector cooperative purchasing? Contact TEMA today.